SalesIQ is Hassle-free live chat software re-imagined for business growth. This state of the art solution helps businesses to convert the website visitors into happy paying customers and increase the ROI on the content, SEO, AdWords and email marketing efforts. SalesIQ is a complete package of automated tools to facilitate live chats, visitors’ tacking and analytics for enhanced performance of the sales teams. • Track and Engage Visitors: Businesses are facilitated to understand how visitors are interacting with the website in real time. The solution allows using that insight to trigger rule-based proactive chat conversations. • Live Chat Software: SalesIQ lets customers chat with a live representative that helps businesses to close deals faster and deliver exceptional customer service. • Visitor Insights and Lead Scoring: This leading edge solution helps businesses drive sharper engagement by gaining access to a highly insightful list of 'All' website visitors. Businesses can also prioritize them as hot, warm and cold based on their lead score and close more deals faster. 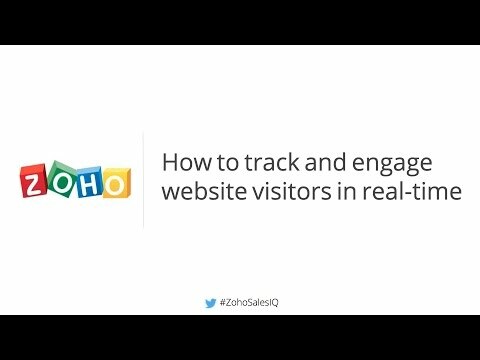 • Zoho CRM Driven Engagement: Zoho SalesIQ supports integration with Zoho CRM and improves conversions via follow ups. Businesses can get better context via visitor information history. The solution enables to instantly add leads, contacts, follow-up tasks, and potentials right from the chat window. • Sell Smarter and Close Deals Faster: The solution allows businesses to focus all the energy on selling and engaging prospects while SalesIQ automates the business website visitor engagement with intelligent triggers and SalesIQ 's email campaign optimizers. • Setup and Customize Quickly: It is simple and easy to integrate with Google Analytics, show a promotion during a visitor's waiting time, and more with this intuitive solution. • Measure, Coach and Monitor: This solution provides daily and monthly reports delivered right into the users’ inbox. Businesses can easily understand how to improve team's sales conversations and monitor chat conversations along with providing instant feedback. Teams can be trained to be sales superheroes. • CMS and E-Commerce Integrations: Zoho SalesIQ works well with leading CMS and e-commerce platforms. • Always Be Online: The solution facilitates Live Chat from anywhere anytime on the go. Zoho SalesIQ supports the Jabber/XMPP chat protocol thereby allowing businesses to connect with prospects and customers from any mobile chat client that supports the standard. Almost all widely used devices can be integrated with that that device. Letting customers chat with a live representative helps you to close deals faster and deliver exceptional customer service. Real time traffic monitoring. Automated website visitor engagement Customize the chat box to match your website design Actionable analytics Prioritized list of website visitors. Drive sharper engagement by gaining access to a highly insightful list of 'All' your website visitors. Prioritize them as hot, warm and cold based on their lead score and close more deals faster. Turn your website into a lead generation machine Your visitors. Their scores. Your recipe. Focus on prospects that deserve your attention. Connect Zoho SalesIQ with Zoho CRM and improve conversions via follow ups. Get better context via visitor information history. Add leads, contacts, follow-up tasks, and potentials right from the chat window. From data to actionable insights. CRM data based pro-active triggers. Convert the visitors you chat with to leads or contacts in CRM. See your previous interactions. Assign follow up actions in CRM. Focus all your energy on selling and engaging your prospects while SalesIQ automates your website visitor engagement with intelligent triggers and SalesIQ 's email campaign optimizers. Wow your visitors with personalized engagement. Reduce sales cycle. Increase sales conversions. Generate more sales from your email campaigns. You can't improve what you don't measure. Get daily and monthly reports delivered right into your inbox. Understand how to improve your team's sales conversations. Monitor chat conversations and provide instant feedback. Coach your team to be sales superheroes. Prebuilt reports. Coach in real-time. Team Monitoring. Excellent software, I have an excellent experience. It is very simple to use and the detailed analytics of the visits are excellent even in the free plan. There should be an automatic way to generate candidates who constantly visit the website and meet a metric. Integration with zoho crm, zoho campaigns and zoho desk is awesome. 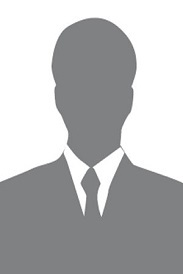 For example, you can see if someone visiting your website is a customer or not. When you chat with the person, you can transfer them to support or sale as needed. The chat transcript is saved to the contact in zoho crm. UI is not as good as LiveChat. The UI isn't bad but LiveChat has the most simple UI out there. Also the chat dialogue box that the customer uses is "cooler" looking in LiveChat - it's more fun looking.